Yet another masterpiece floor plan from Hallmark Homes, the Brighton home design is simple yet unbelievably stylish 2 story home perfect for small families. 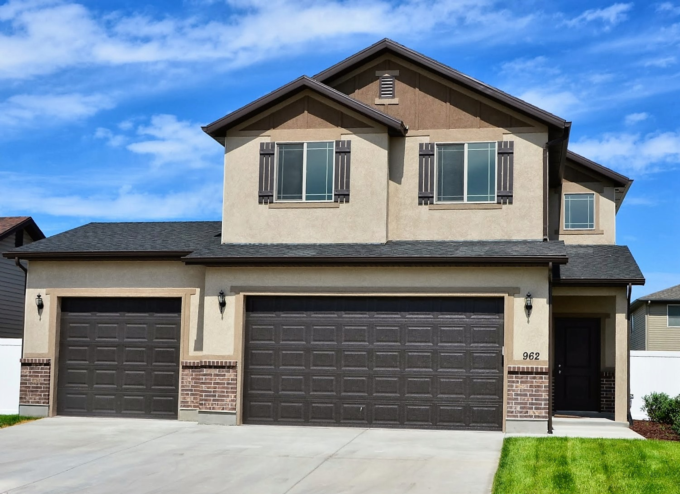 It takes up a 1,634 square foot area and features 3 bedrooms, a main floor bath, large 2 car garage with the option of a larger 3 car garage, and a kitchen island with sink. It conveniently uses every inch of space, and is fit for small modern families. The bedrooms in the Brighton home are elegantly designed, and the bathrooms fitted with modern amenities and facilities. The garage has large automatic doors, and is spacious enough to fit a family car or van.